I made this as a side dish for these gluten-free waffles a few weeks back. They didn’t turn out how I intended, but man did they taste amazing! 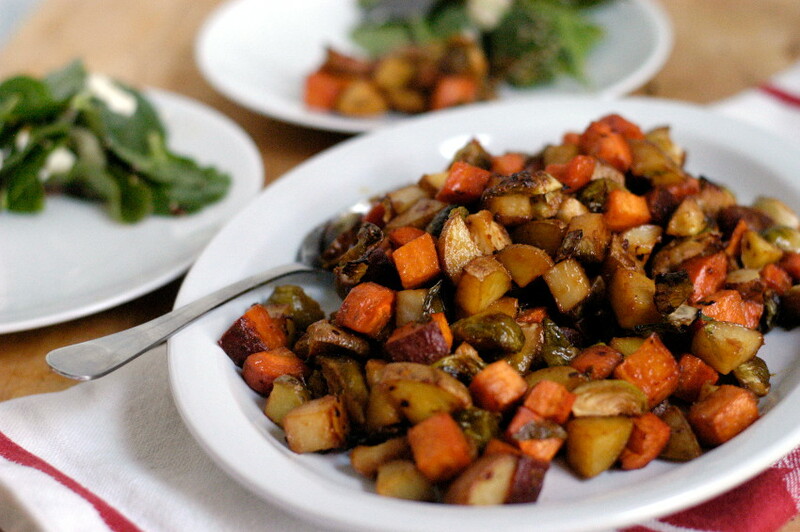 Such a great, savory side dish for brunch or dinner. This may look like a boring salad, but it’s surprisingly complex. The original recipe called for Tuscan kale, but I used a more traditional curly kale that I found at the farmer’s market. 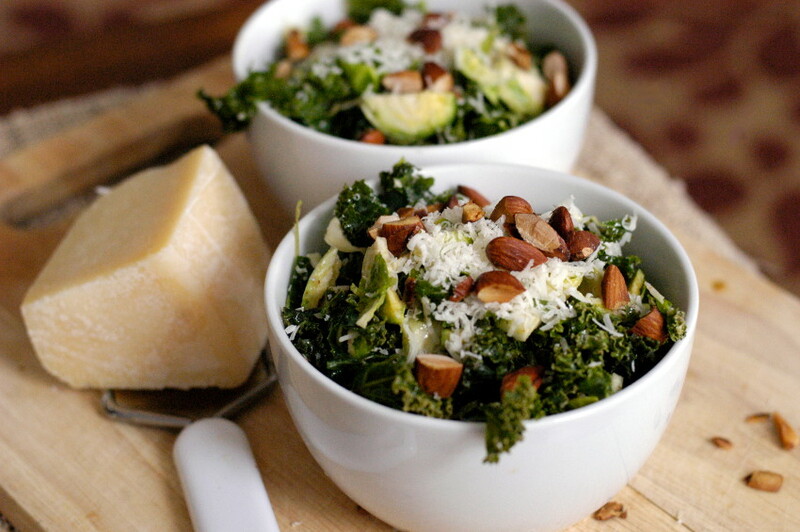 Tuscan may be a milder version, but the Dijon dressing in this recipe helps tame any kale’s bitterness. There are so many wonderful things about these tarts, and I’m really happy with the way they turned out. The white bean puree started out as a dip I threw together for New Year’s Eve in about 5 minutes. After some feedback from my friend Ryan, I adjusted the seasonings, and this version is just about perfect. I also love the combinations of texture and color here. Possible substitutes or additions: toasted walnuts or hazelnuts instead of pine nuts, and pomegranate seeds, dried cranberries or lightly roasted carrot ribbons. 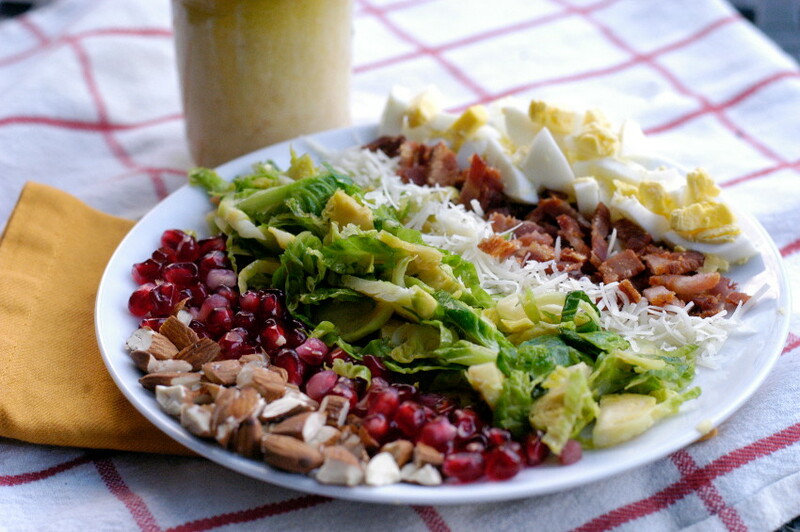 I love the creaminess of cobb salad dressings, and the citrus flavors in this version give it a wintery boost — in addition to the Christmas-style red and green of the pomegranate and Brussels. There are a lot of flavors and textures to this dish, but certainly not too many that the eater gets lost. Every family has its staples and traditions at Thanksgiving, and that’s part of what makes the holiday great. But every once in a while, it’s not just the bread for stuffing that gets stale. If you’re looking for some inspiration for a new dish or two, try our guide! We collected some of our favorite recipes from the past few years. Should you try any of these recipes, please let us know. We would love to hear that we gained a spot at your Thanksgiving table. Ideas for Thanksgiving basics: stuffing and turkey. Our green bean recipes include a fresh take on a canned classic. Roast ’em, mash ’em, boil ’em. Whatever you do — eat your potatoes. Carrots at Thanksgiving? Helps to make sure your eyesight is perfect for watching the football game. 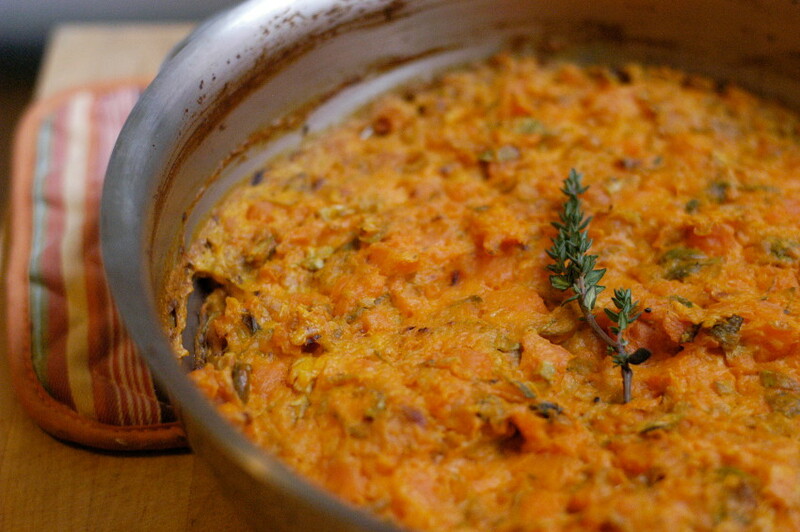 The only thing that could be better than a regular potato — is a sweet potato. 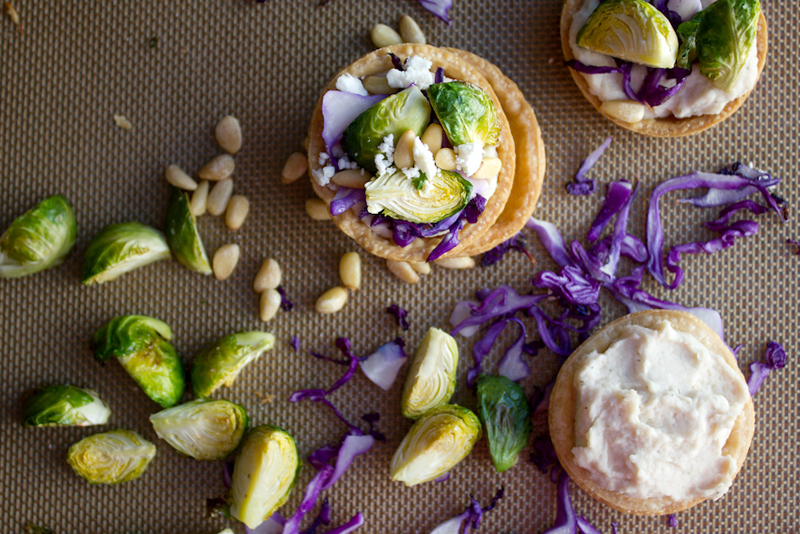 Brussels have become a popular Thanksgiving side, so make some room for the little cabbages. Sure, the stuff in the can ain’t bad — if you don’t mind seeing the can rings on your food (but really, we wouldn’t judge). Hey, it’s Thanksgiving — the more starch the better. You’ve got a long day ahead — and we all know what could help speed it up. And to wrap it all up: the fabulous pies. 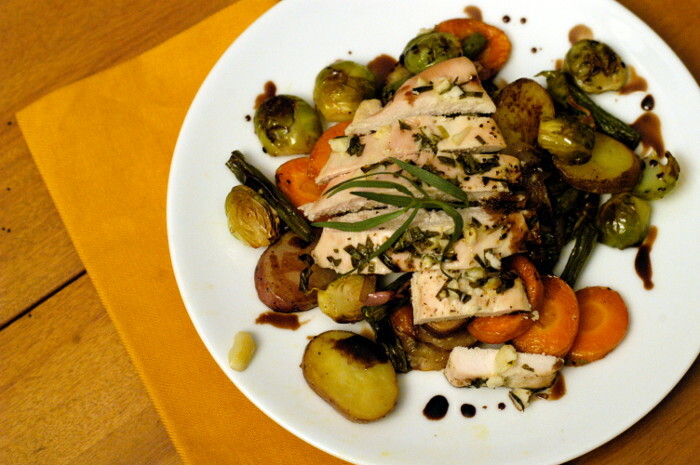 This dish was a great on-a-whim meal, using what ingredients I had in the fridge. Not a fan of tarragon? Try using rosemary or thyme instead.